LG has launched K10 (2017) smartphone in India which comes with India-specific SOS 112 emergency calling when you press the power button three times or pressing the SOS option in the menu, as recommended by India’s telecom ministry. 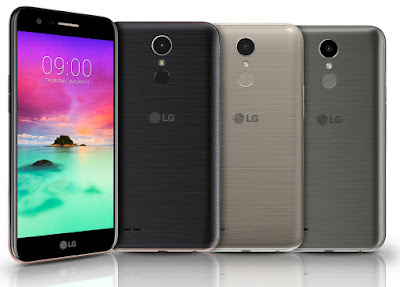 LG K10 feature 5.3-inch HD In-cell Touch display with 2.5D Arc Glass design. Powered by a 1.5 GHz Octa-Core MediaTek MT6750 64-bit processor with Mali T860 GPU with 2GB RAM and 16GB of internal storage further expandable with MicroSD card up to 2TB. On Camera LG K10 (2017) has a 13MP rear camera with LED flash and 5MP front-facing camera, 120-degree wide angle lens. Connectivity options include 4G VoLTE, Wi-Fi 802.11 b/g/n, Bluetooth 4.1, GPS, USB OTG Packed with a 2800mAh Battery. LG K10 (2017) comes in Black, Titanium and Gold colors and is priced at Rs. 13,990. It comes with free smart cover and unlimited audio and video downloads from Hungama for 45 days. At this price point there is Redmi Note 4 , Le 2 , Cool 1 available in India.